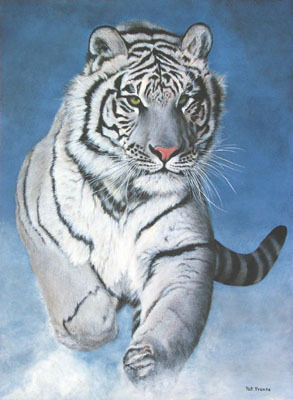 A rare genetic mutation occasionally gives rise to a white tiger, in this case the race is known as the siberian tiger. This is not a true albine, however, as the dark stripes are still very prominent. 2nd Award at the Salon de Verano "Desde la Plástica"